I'm going to use one of these as sort of a binary keyboard by hooking it up to an Arduino and using a tact. switch as a Serial Write button (or use a timer for a speed challenge)! 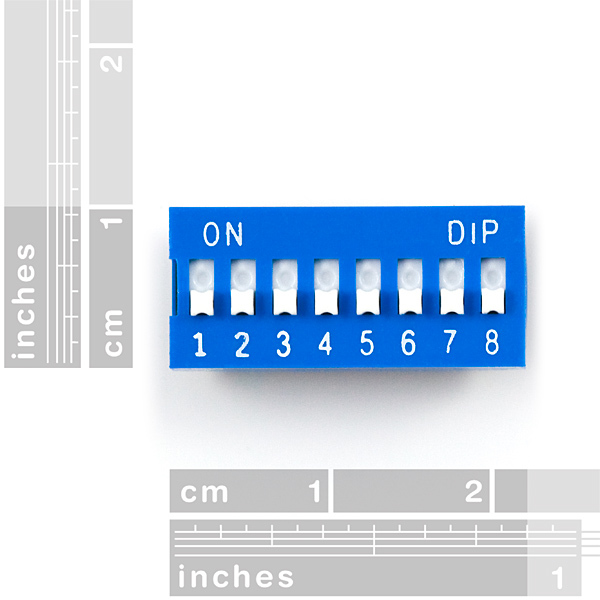 What are the voltage and current ratings on these DIP Switches? While that information is probably available somewhere - I'd say look it up for a few other DIP switches, it's highly likely to be similar - I think that if you've got voltage/current rating concerns for them, you may planning on using them for purposes other than what they're intended for; they're really only intended as rarely-set signal control switches, e.g. putting a logic 1/0 on a microcontroller pin/bjt/fet, and not as a bank of active switches for a (relatively) large load. 8 individual switche positions, wow! Does anyone know if this will fit in an IC socket? Yep, it will. 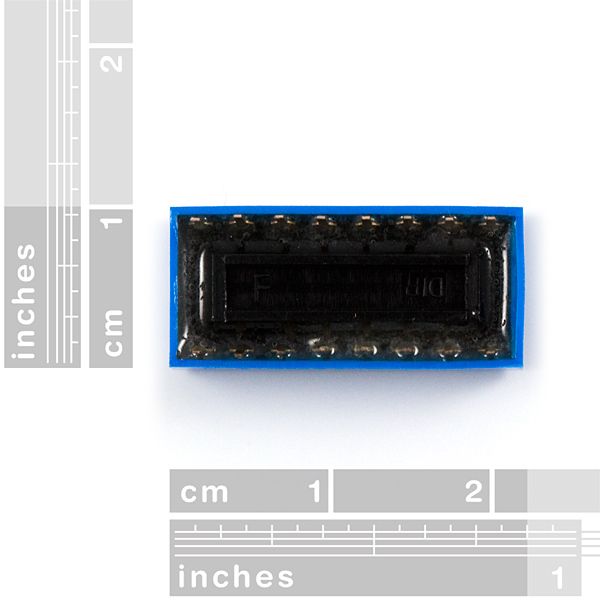 The datasheet says it is 7.62 mm wide, which equates to 300 mill. 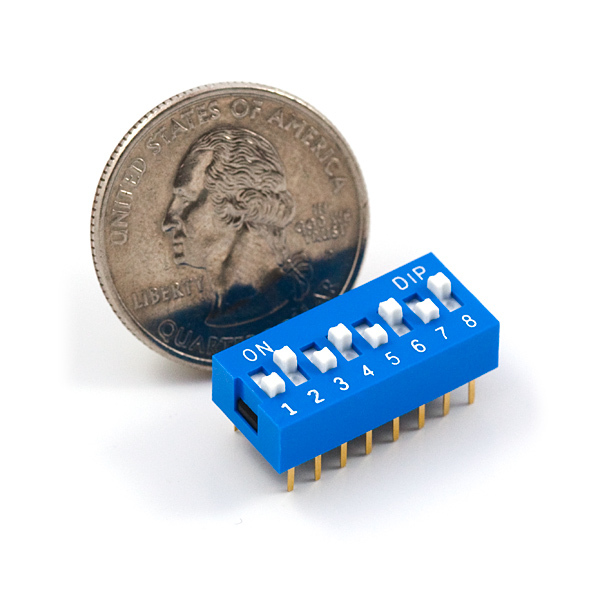 It will perfectly straddle your breadboard centerline and should fit right a 16-pin DIP socket. Many products manufactured have these on them, and for good reason. changing parameters is one great usage I have, such as Daylight Savings time, unit conversion selector. Or changing bits in a byte to select one of 32 options. This is a really neat switch to have and its useful for settings that don't need to be changed too often but it has a hard time staying securely on a breadboard due to the short leads. The legs on this aren't long enough to catch in the breadboard and it pops out. Would love to find one that stays put. You might try a different breadboard with these. Some breadboards are more forgiving of short leads than others.